Wow! Love the beautiful lighted base that Brian made for me. I have a second project in mics for Brian to do for me. 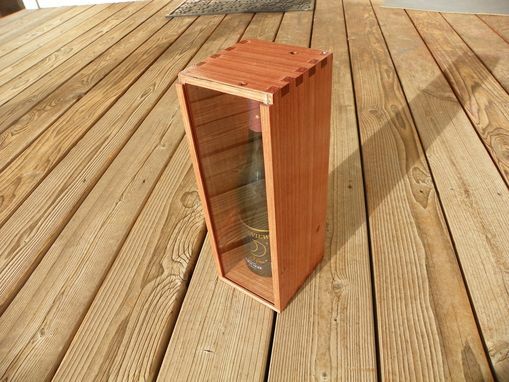 This wine bottle box is made from reclaimed Mahogany from a home deck and Bamboo flooring. 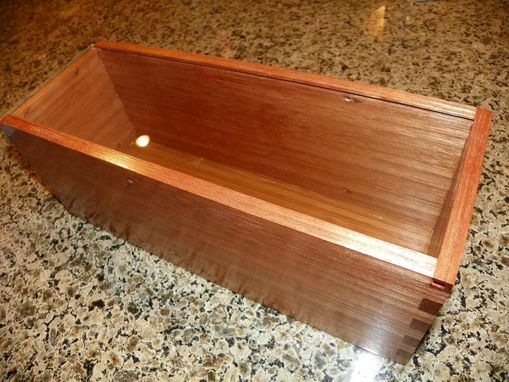 The inside of the wine bottle box dimensions are 3 3/4" X 4 1/4" X 12", but I can make a wine bottle box to your specific size needs for additional cost. 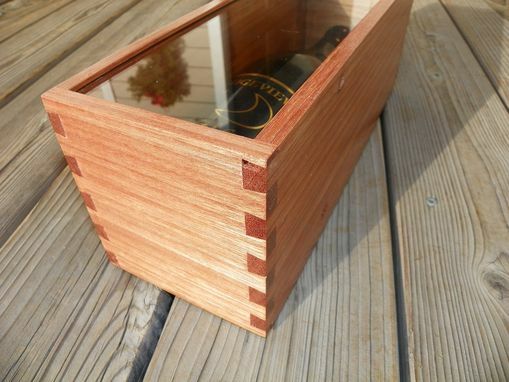 The joinery used on this wine bottle box is the ancient, amazingly strong and beautiful Dovetail Joint. These joints go back as far as the Egyptians. 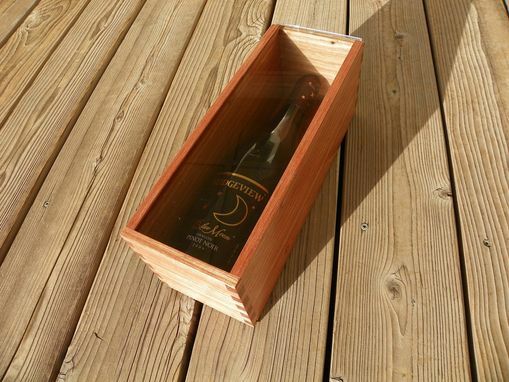 Every part of the wine bottle box can be laser engraved. Whether as a present, wedding keepsake, or just to mark a special bottle of wine, this is the perfect wine bottle box for you! Personalize it with laser engraving! Add a name or design to eliminate the problem of your super-cool gift from "walking away" with your jealous friends. Add $5 for one line, $10 for 2 lines, or $10 for a graphic. Every maker has a story. 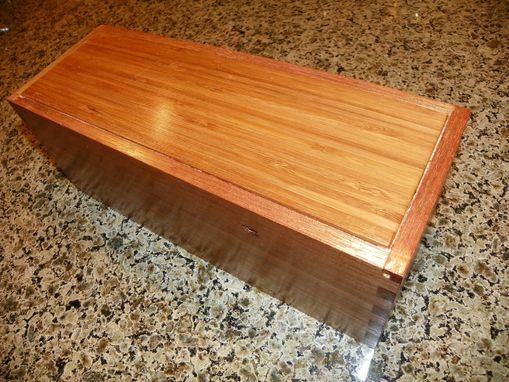 Be a part of Elegant Woodworking Gifts's story by placing an order, leaving a review, and seeing your review appear here.